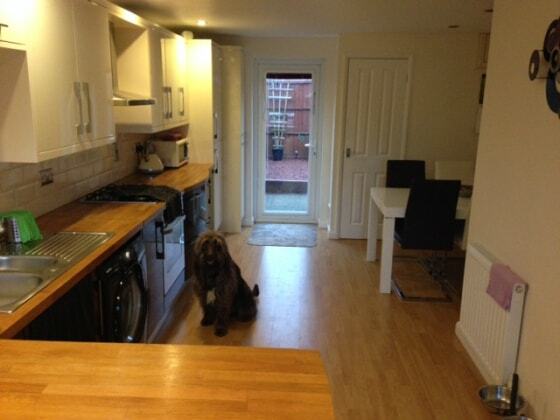 My wife and I are very proud to be able to offer our home for your dog to have a holiday too. We adore dogs and we could never be without them. We have a lovely home that they can rest and also have fun as they are part of the family and not just pets. We have a license from our local council to board dogs at home (Max 2 - From the same family); and we are also fully insured for dog boarding; carrying dogs in car etc. your dog(s) as well as play with them, take them for walks etc..
treated so that you have peace of mind that your dog(s) are safe whilst with us. Finally it remains for us to say that we will give your dog(s) as much love and attention as they would normally recieve but we will also maintain their day to day routines. It is important to us that your dog(s) remain happy whislt you are away. We can also offer day boarding and also short weekend breaks for your dog(s). Darren & Vanessa are brilliant dog sitters and looked after our lovely girl so well she almost seemed reluctant to leave!!! We highly recommend them to anyone in the area who needs their dog looking after with care, love and attention in a friendly family environment.